Hummingbird – tiny, brave and dazzling – represents the highest vibration of art, beauty and service. The Hummingbird Lodge is a small enterprise – one woman’s contribution to changing the world through the vibration of beauty and loving compassion. 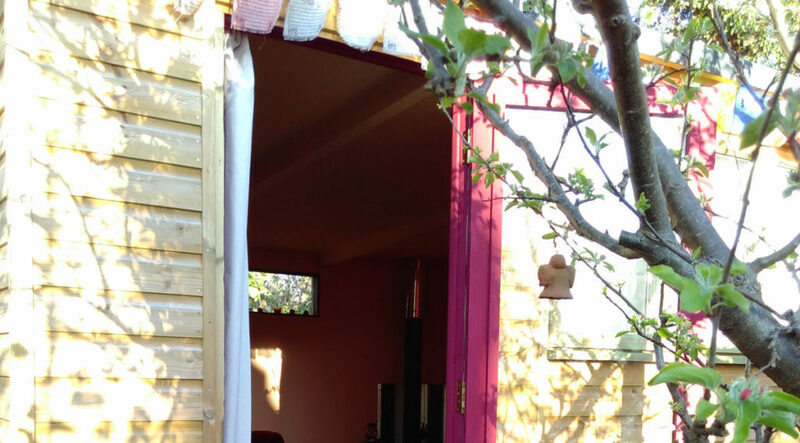 Under Hummingbird’s wing are both a cosy cabin in my East Oxford garden, where shamanic healing and small groups take place, as well as a yurt in rural West Oxfordshire, a place of sanctuary amongst the soft fields, ancient woodland and sacred wells. Both of these places are dedicated to the Divine Feminine, my source of strength and healing. Rather than being a big retreat centre, these small spaces fit into the niches of urban living, offering small drops of deep refreshment for people to catch in the midst of the daily round. The Hummingbird Lodge also offers her vibration through audio transmissions, accessible from anywhere in the world. Tune in for meditations, chants and practices.